This smart looking purse is easy to make and very functional. 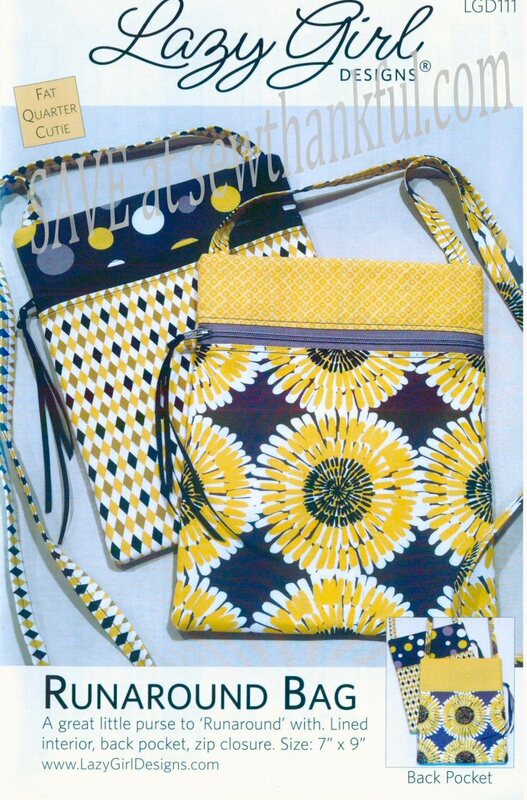 The inside is fully lined and the purse features a back pocket. Use any standard zipper and find out how easy it is to put a zipper in using Lazy Girl's trademark zipper technique. 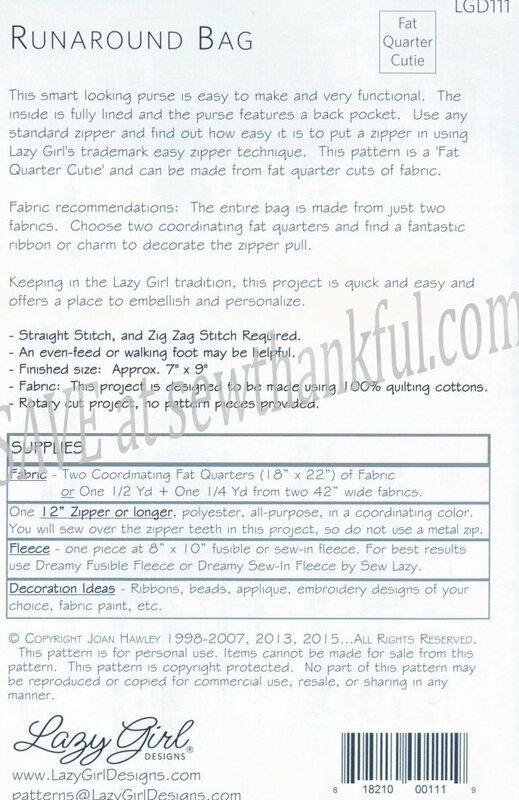 This pattern is a "Fat Quarter Cutie" and can be made from fat quarter cuts of fabric. Fabric recommedations: The entire bag is made from just two fabrics. Choose 2 coordinating fat quarters and find a fantastic ribbon or charm to decorate the zipper pull. Keeping in Lazy Girl tradition, this project is quick and easy and offers a place to embellish and personalize. 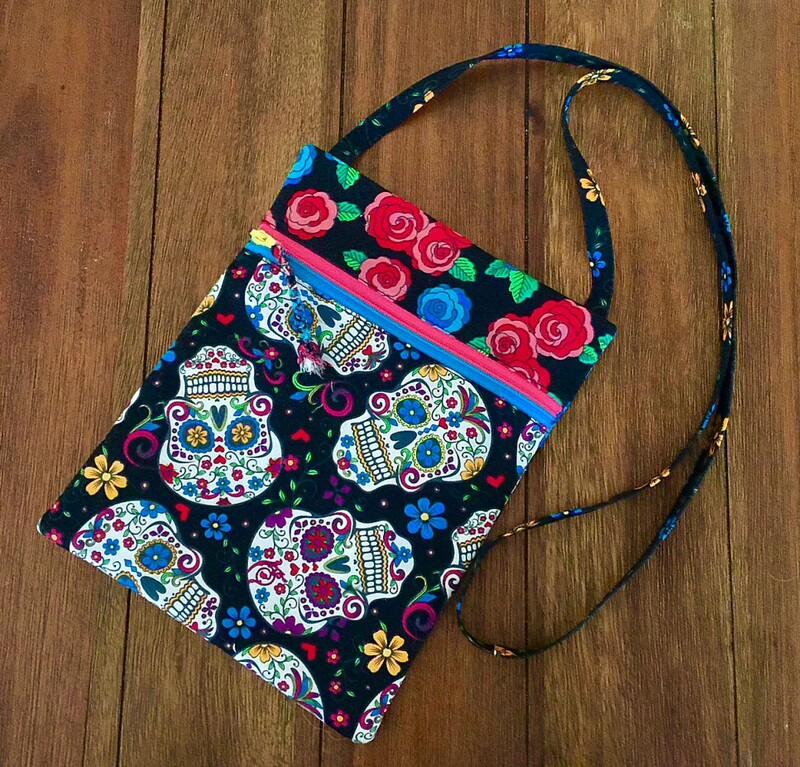 Finished Size: 7" x 9"
I had so much fun sewing my new Sugar Skull Run Around Bag. I can see myself making lots more as gifts this holiday season. In true Lazy Girl fashion this pattern goes together super fast and easy peasy. All you have to do is follow designer Joan Hawley's fantastic instructions and DO NOT overthink it. You're sure to have fantastic results and a Run Around Bag you'll love in a very short time. I love this bag. I made several for friends as gifts and they us them for trips to town or all the time! I use mine when I just don't need my big bag, which is often! 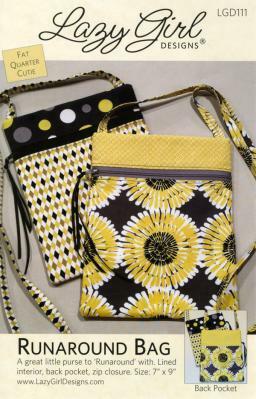 The bag is a cinch to make And the pattern is easy to follow. Is fun seeing! Very fast Response! Great! Purse turned out great easy instructions. Made it for my Granddaughter she loves it.